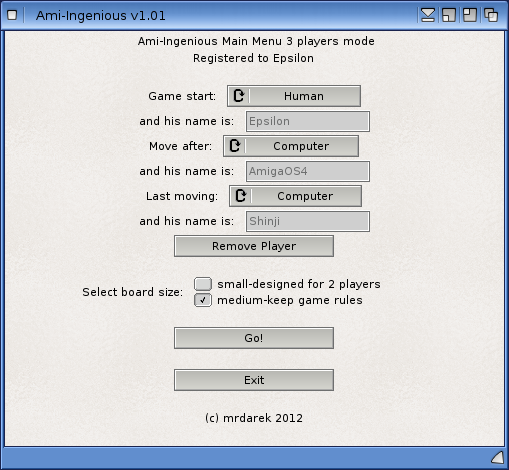 I found another game released on AmigaOS4 recently called Ami-Ingenious. 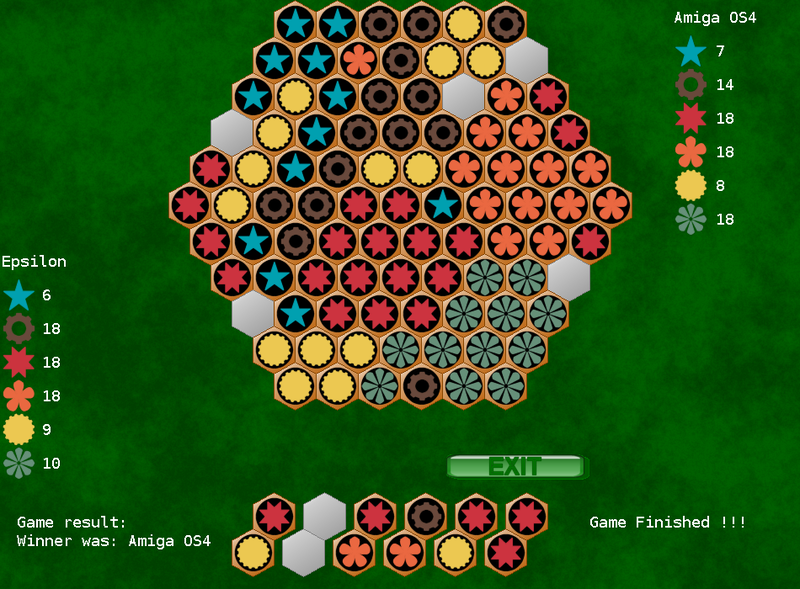 This game is an adaption of a German board game called Simply Ingenious. There is a good wikipedia article here to get you up to speed on the board game details, rather than me repeating everything there on here! Being from Australia, I had never heard of this board game before today, and was intrigued to find out what it was like to play on my X1000 and wrote this Mini-review! The game runs in a window on the AmigaOS4 Workbench screen. It would be nice to have a full screen option for this game in my opinion - I think it would suit it better. Having said that the main game itself looks quite professional even in a window and runs well with no issues encountered while writing this mini-review. You get a group of 6 joined hex tiles (each turn) which have different symbols that can be matched to whatever is on the board to get points. You can rotate the joined tiles by hitting the spacebar when positioning on the board for the best points. 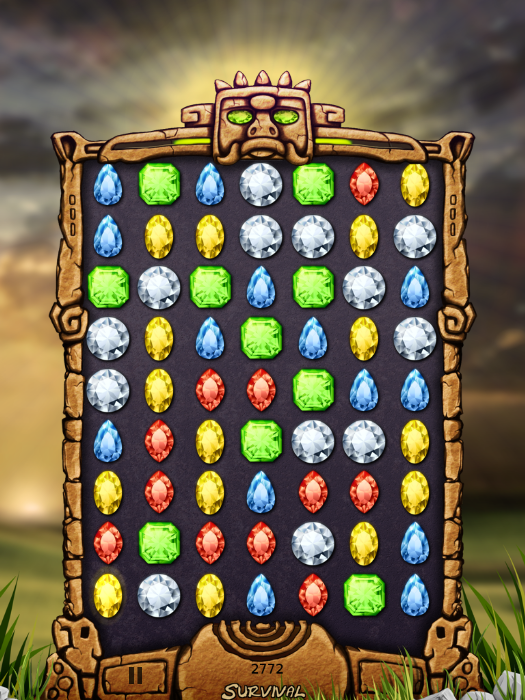 The matched tiles are highlighted when positioning the tiles over the board so you know what score is possible. 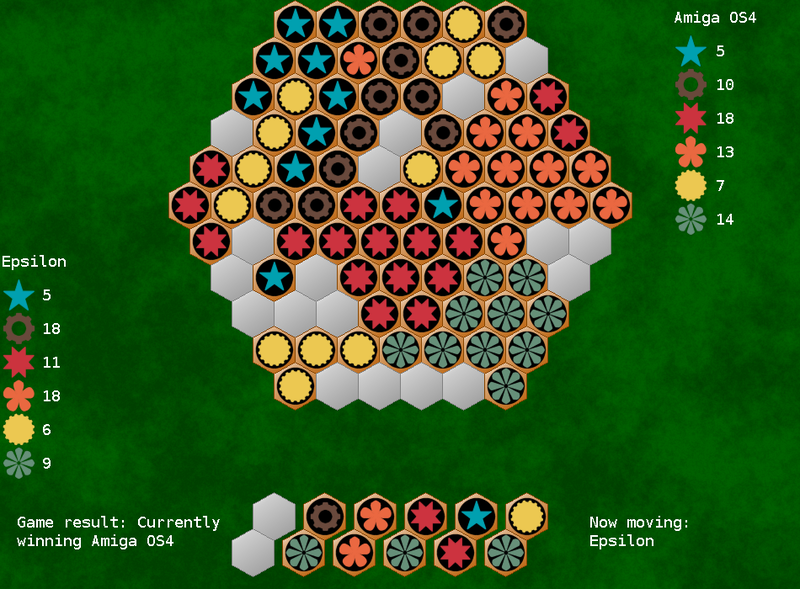 You can position one tile set on each turn, and the tiles available to you change for your next turn. 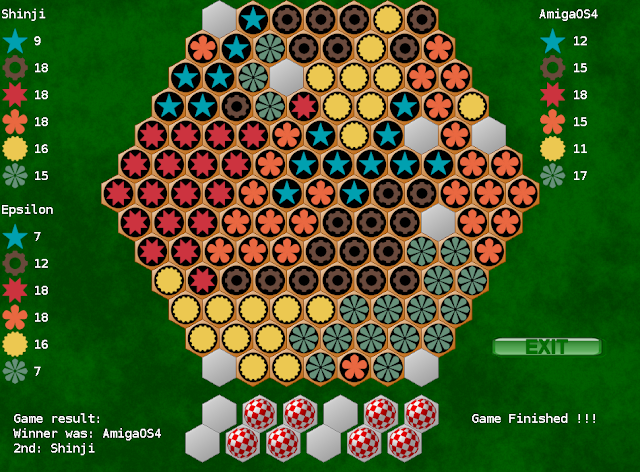 It has an unusual victory condition - the highest lowest score wins. So for each type of tile, when the board is full the lowest count of your tile types is taken. Whoever has the highest score then wins! It means the strategy is to keep a even number of scores across all the tile types, not just one or two types! If you manage to match 18 tiles in one turn, you get a bonus turn! I managed this a few times but could never get a decent score on the bonus turns! The map can also be small or medium sized depending on whether you have 2 or 3 players. Starting to lose badly now! Game over - I lost the game unfortunately! Next screen shows the game over as there are no more 2 tile spaces available on the board - I was beaten yet again! There are some spot sound effects here and there during the game, but no music. The game is donationware, with a PayPal donation of just 1.49 Euros to get a registered file from the author which removes the nag screens every couple of minutes when playing the game. I registered straight away - I believe this is a very small price to pay for an interesting Amiga game! I have to admit I enjoyed playing this game on the X1000 - the strategy in the game really makes you think carefully for each move! 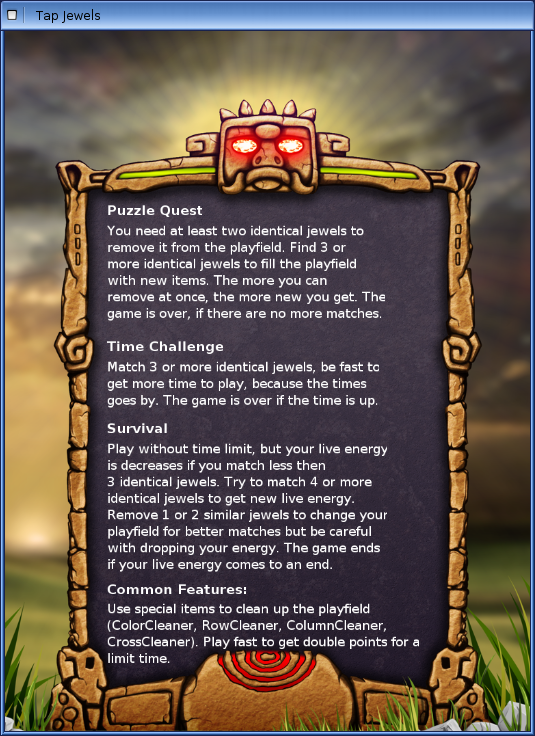 Mini Game Review - Tap Jewels for X1000! It's great to be back blogging about AmigaOne X1000 related stuff again. After turning on my X1000 today, I noticed that game developers AmiBoing has brought out a new game for AmigaOS4 called Tap Jewels. As regular readers may know I previously reviewed another game from Amiboing called Swamp Defence here. 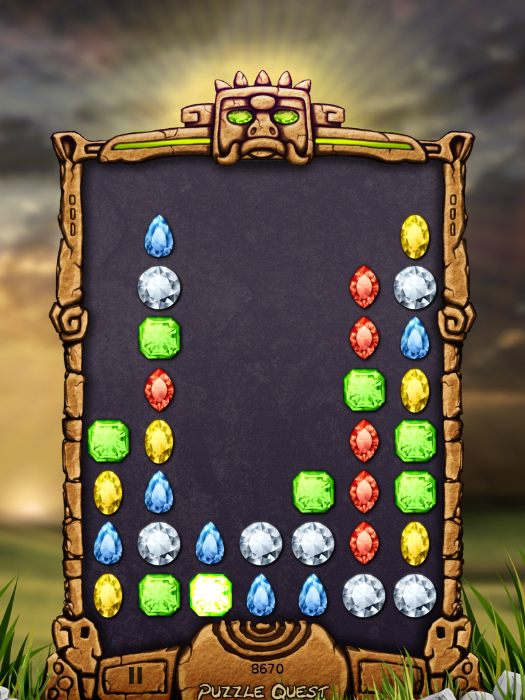 Tap Jewels is a puzzle game and is great for a quick game when you have a few free minutes to play a game. I found it is quite a lot of fun once you get into it! This game runs in a window on the AmigaOS4 workbench screen. Unfortunately there is no option to run it full screen. I hope it is added in the future, though I should stress it isn't that important given the type of game it is. As with all the AmiBoing games I am quite impressed with the quality of the graphics - they look great, bright and detailed. There are special items that appear from time to time also, which when clicked clean out that item's row, column for example. 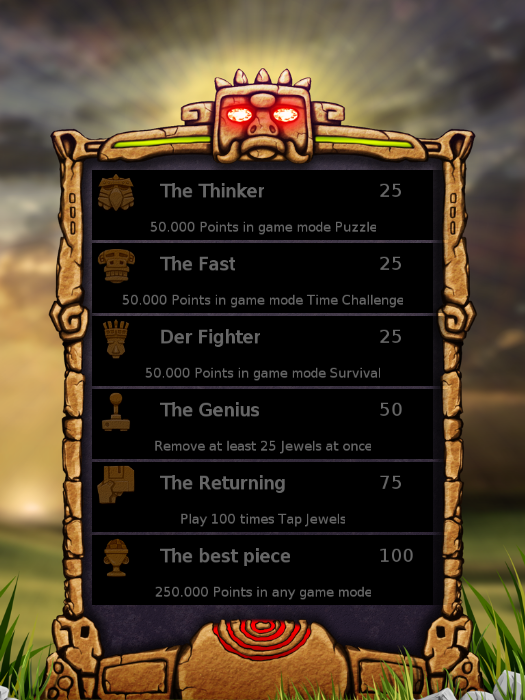 I admit I found the Survival mode the most fun of the three, as I prefer the no time limit and the extra difficulty of selecting 3 or more jewels to prevent running out of life (and thus ending the game). My personal opinion is that the background music is quite repetitive, but fortunately there is an option to turn it off at the main menu and just have sound fx. As with other AmiBoing games, Tap Jewels high score system is linked to your user id on AmiBoing's website to register high scores for all players around the world. You are prompted for your AmiBoing userid and password when launching Tap Jewels and you can also opt to play in offline mode where the scores are not uploaded. As you can see below I am not at the top of the high score list yet but I am working my way up as I get better! In summary, for 8 Euro (around AUD$11) it was worth the money to buy Tap Jewels. There is a free demo of the Tap Jewels available on their website if you want to try it out first. Life getting back on track! I am very relieved to be able to say that the my wife's cancer has been successfully removed after some major surgery. She is now mostly recovered and recently returned to work! So our lives are getting back to normal and I hope to add some new AmigaOne X1000 articles soon - as I type this I have fired up my X1000 for the first time since August so I have to catch up on all that has happened since then.